Born and raised in New York, Choice was always into some form of entertainment. At fifteen he joined his first band and began writing music, short stories, and martial arts under the tutelage of Sifu/Sensei Dyron Jackson. At seventeen he worked on honing his skill in music production and moved to Augusta/Atlanta Ga. There, he worked with various musical groups and talent of different genres. Choice also wrote songs and directed his first music video entitled “Summer Rain” for the artist known as “Serron”. In 1992 He opened up “Dyron and Darkan’s School Of Martial Arts” the second largest school in Augusta Ga.” A meeting with Tom Schrenk introduced him to the self-defense system of Bojuka in which he has become certified a full instructor in knife fighting, asp tactical baton, and empty hand. He also worked as an A&R several months for an independent record label, listening to demos and developing talent. Years later a chance meeting with R&B artist Rome had Choice relocating to California to become one of Rome’s producers in his entertainment company. Moving on from the Rome situation turned Choice onto another unknown passion… acting! Next to music and martial arts, acting has become a mainstay of his life. During his training at Bobbie Chance’s “Expressions Unlimited” studios for four years of study, Choice appeared on the television show “The District”, and in the films titled “Killjoy 2 Deliverance From Evil”, “Black Magic”, and starred as lead in the horror/comedy film “Cryptz”. In the spring of 1999 he wrote his first screenplay titled “A New Life”. He has since completed his eighth script entitled “Two Wrongs Make A Right” while his fifth script “The Sins Of My Father” advanced to the quarter finals and top 5% of 2004′s Nicholls Screenwriting Fellowship. Choice is a twenty five year martial art veteran and trains in the systems of Bojuka, EKG, Wing Chun, Kali/Escrima, Aikido, Boxing, Iaido, Fencing, Jeet Kune Do, and Jujitsu. He has choreographed fight scenes for several films and taught numerous actors such as Mekhi Phifer, Tatiyanna Ali, Patrick Kilpatrick and Kiko Ellsworth. Choice has lived in Los Angeles for the past 12 years and is also a Martial Arts instructor by trade. In 2005 he co-directed the music video “Moving Forward” for actor/Hip Hop artist Poc Dawone (Allen Maldonado) and directed a film trailer entitled “We Are Family”. Most recently he starred on an episode of “The Shield” and in the film “Transylmainia” a vampire comedy in which he acted in and performed as fight coordinator and performed a stunt early 2009 on the television show “Lost”. 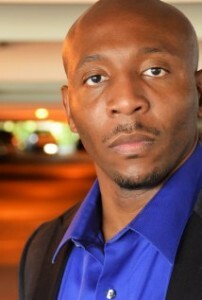 His most current work has been the production and direction of the music video “Heart Of A Hustler” starring the artist Lazarus and also the teaching of actors at the Breaking Through Acting Workshop located in North Hollywood, CA. Choice works extremely well with actors and has been hired for private coaching. He has been brought on the set of several shorts and films as a hired gun to coach actors behind the scenes as well.